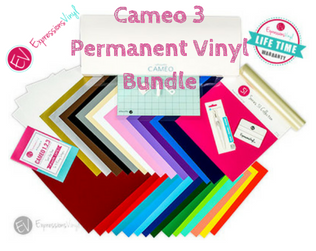 It’s great that these days we have options when it comes to buying vinyl and crafting supplies. Plus, there are so many different types of vinyl available in lots of colors, patterns, and textures. While it’s all very exciting, I think we all can agree that it can be overwhelming to shop around and compare. Who is reliable? Who has good prices? Who doesn’t overcharge me in shipping? All of these questions we have thought about. Here’s a list of some of my favorite vinyl vendors I highly recommend for product quality, service, shipping, and reliability. They have a nice selection of vinyl and some great bundles and tools. Plus check out their Clearance and Sale sections. They have pattern galore for HTV and for (adhesive) vinyl with a Pattern of the Week for a price you don’t want to miss! Plus, they have a Clearance section. I love their FREE shipping with a $35 order! They have a nice variety of specialty vinyl, too. 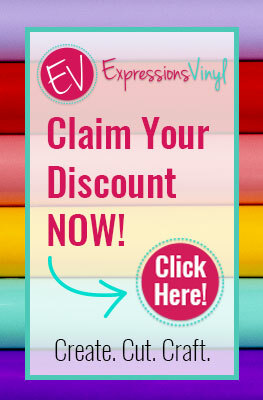 Lots of vinyl to choose from means you can always earn that free shipping. My Vinyl Direct has a little bit of everything for everyone. They have nice selection on everything you need for your Silhouette crafting. Parsbee focuses on vinyl. They have $4.95 flat rate shipping or FREE shipping on $50+. That’s a real deal. Swing Design has all the basic supplies and tools, software upgrades, vinyl selection, etc. you need for your Silhouette crafting. The 15″ x 15″ clamshell heat press with pullout drawer is a personal favorite for price point, size, ease of use, and it’s much easier to see your work and arrange it without bumping the heat platen. The hat press is very handy for curved surfaces and it’s a great price. Amazon really is one of the most affordable places to purchase a heat press, but you have ot be careful which ones you buy, because some companies do not have good support or quality products, so here are a couple of my top picks in both clam shell and swing away styles. The PowerPress is a best seller for a reason. It’s reliable, easy to use, and affordable. There’s no good reason not to buy it with over 1,000 reviews and 4.5 stars. You won’t be sorry. The FancierStudio swing away heat press has great reviews. I have a swing away because I was looking for very even pressure upon closure for surfaces like glass as well as canvas, shirts, bags, etc. It’s a lot of effort to close mine, but not all are like that. I do believe a clam shell design is easier to close overall though. This heat press is about the best price you’ll find. It’s a work horse. They have a Black Friday Sale happening, so don’t miss out! If you ship shirts, bags, hats, and other soft items to your customers, then you know all about poly mailers. They even have free shipping on them, so stock up while you can. Be sure to check out their Specials section, as well, for tape and other supplies. 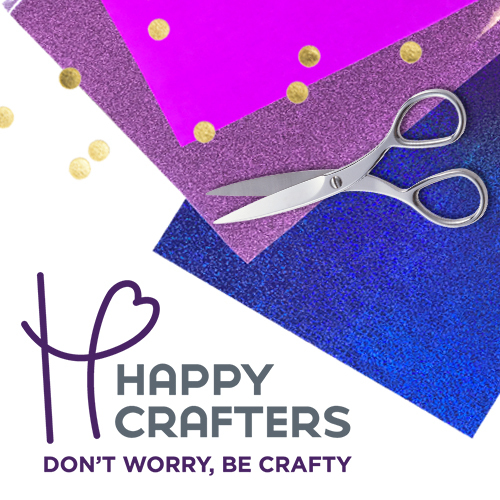 Do you know of other local shops selling vinyl, blanks, and other crafting supplies Silhouette and Cricut users would appreciate? Please let me know and I’ll be glad to add them to the list. If this information is helpful, be sure to save it for later. Enrich someone’s life and share this information with friends. Pin it, tweet it, bookmark it, and go. You’ll want to keep this list handy. Have a great and successful day! All opinions are my own. Some links may be affiliate-related (allowing me to keep sharing content with you) where I receive a small commission if you purchase through the link, but the price remains the same for you and purchases are completely anonymous. It is important to note all content is based on my own knowledge, skills, and experiences. Are you using my FREE app yet? Get it today for special in-app discounts and more.